The Neandertals (I'm spelling it without the "h" because that's how it is in the book) were more or less an evolutionary dead end. I say more or less, because some modern humans may have a tiny percentage of their genes. But this book does a good job of illustrating why you wouldn't want to think like them, as well as explaining the likely reasons why they died out 30,000 years ago. These hominids were like us in many ways, but they were separated by a continent and thousands of years of evolution. Whilst modern humans evolved in Africa, Neandertals thrived in Europe during the ice ages. They lived hard lives, and their bones tell the story of hunters who exercised a great deal and often sustained lots of injuries. They were short and stocky, built for a cold climate, and they ate far more meat than modern humans do, typically large game like mammoth and woolly rhino. And they also died fairly young, before their mid-forties, and suffered a lot of arthritis. The book deals with their use of tools, and from the shape of their skulls we can deduce how they might have thought and learned thanks to our knowledge of the structure of the brain. There's little evidence for them innovating. However we can work out some things about the structure of their social groups and daily lives. 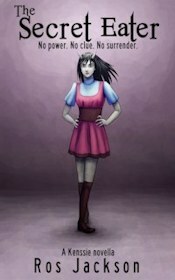 The book covers how they used fire, tool creation and use, and how they buried their dead. It also looks at art, rituals, symbols and language, but the evidence for all of these is scant because of the ravages of time. The chapter on sleep takes the way chimps and modern humans sleep and extrapolates that to estimate how Neandertals slept. The link between sleep, creativity and innovation is what makes this section interesting. However, the conclusions about Neandertal sleep are really just more questions. The weakest chapter is the one on personality. Here the authors suggest various traits that many Neandertals may have had, and this is little more than a list of what-ifs, based on scant evidence. It does little more than recap what has already been said. The authors try a thought experiment that puts a Neandertal in a modern setting, and a modern human 50,000 years in the past within a Neandertal community, to imagine how they would get on. To me the authors' description makes these people seem borderline autistic (which makes me wonder about their larger brains, a trait people with autism may also share). 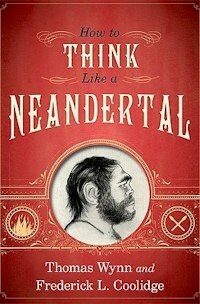 How To Think Like A Neandertal is accessibly written and interesting. What it lacks is, I suspect, more a matter of what the study of human evolution lacks in its knowledge of this sub-species of humans, rather than any omissions on the part of the authors. The story of our Neandertal cousins is a tantalising one that's crying out for further research and discoveries. An examination of the species that are benefitting from rapid environmental changes brought about by mankind, and how they are doing so.